Dave Randag is on the move more than 200 days a year. He’s filmed everything from petrol smugglers in Colombia to polar bears in the Arctic, to exotic dream homes in Hawaii as a freelance Director of Photography for HBO, Viceland, Nat Geo Wild, History, Discovery, A&E, and HGTV – among others. We got him in front of the camera (for a change) as he was traveling in Japan, to find out more about why he does what he does and what keeps him moving. Dave on the move in Japan. – Special thanks to Ukiyo for use of the track! Listen here. I’m a freelance Director of Photography. I most enjoy shooting documentaries as a one-man-band – kind of being a fly on the wall – following people doing something they’d be doing even if the camera wasn’t there. There’s a heightened level of intimacy and authenticity when it’s just one person there versus a dozen-strong production crew staring at a subject. People are less guarded and you get to see more of who they really are. That said, I also love working as part of a team and luckily that’s how it is most days. I always compare filming to playing a team sport, we all need each other’s strength to get through the day to create together. It’s cool to travel across the world meet another camera person you’ve never met and you often just instinctively know how to do the dance of filming a two camera scene together. What is it about what you do that inspires you? I’m inspired by meeting new and different people, often people that I would never be able to meet in my everyday life. As a rule, if a production company is sending a camera person to film something, it’s generally something that’s going to be interesting to millions of people, so I think it’s pretty cool that I get to be there firsthand to capture that, whether it’s black market exchanges, exotic wildlife, or beachfront property. Be grateful. Our life circumstances are more fortunate than 99.999% of humans who ever lived. Are you spontaneous or are you a planner? For example, you can’t really pull off a shoot with Colombian petrol smugglers if you haven’t planned for a number of variables. Some examples would be bringing smaller profile cameras and microphones. But, you also can’t expect that you will know everything that’s going to happen along the way. On that particularly shoot we had subjects we were going to work with go missing, there was a spontaneous protest which changed our footage workflow as well as our initial story concept. Basically, you have to plan so you can adapt to the changing environment around you. What are your tips, tricks or tools to make projects a joy? I think the only real joys come from people and nature, so I try and take time to appreciate both. Oh, and TSA Precheck and “Clear” are pretty nice at airports. What’s been your best investment in time/money/energy? Moving to Cordoba, Argentina alone at age 23. Moving to a place where you don’t speak the language really forces you to listen. You must pay attention to every intonation, every non-verbal cue, just everything as you try to learn this new way to be. It’s kind of like being a baby, everything is fascinatingly new and wonderful, but your lack of control and understanding can make things terrifying. But through that sense of isolation and helplessness, it made me really motivated to engage with people. Everyone around me had such a different perspective and life experience that it was impossible not to learn from them. Connecting to others was and still is pretty much the greatest feeling. Learning to speak Spanish has also opened me to many other opportunities personally and professionally. What special processes or tools do you use to do your best work while on the move? I try to move quickly and stay out of others’ way. One of the things I enjoy filming the most is capturing people living their lives as if I’m not there. Often times, more camera gear and more attempts at perfecting a shot is actually a distraction that interrupts the flow and takes away from the story. Mostly all over the US but I’ve been able to work in South America, Canada, and the Arctic Ocean as well. I’m headed to Berlin soon which always makes for an interesting visit. 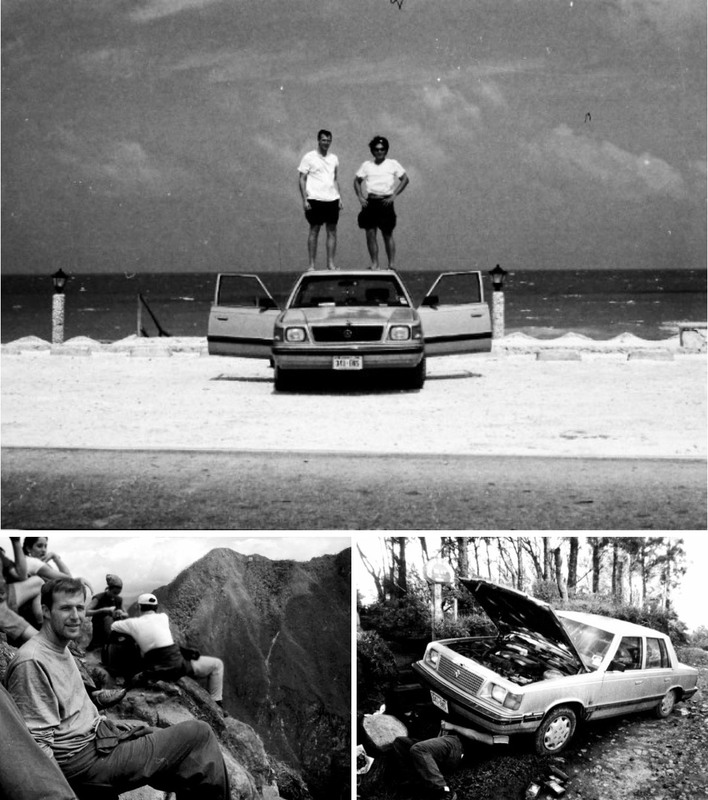 Driving a 1988 Plymouth Reliant from Milwaukee, Wisconsin to South America in 2001. That sounds epic. What was the craziest moment on that trip? It’s a long story…. the simplest part is when the El Salvadorian police took all of our money at gunpoint. Fortunately, we had a special reserve in a hidden compartment. Or maybe when the brakes gave out driving down that volcano… or when I tackled a guy who stole my friend’s bag at 3am in a Peruvian bus stop… it was an interesting summer. To Panama and beyond circa 2001. The car, a Reliant, with a broken logo missing the “R” and the “T” that we named Elian…we put up for adoption in Panama City. My friend and I made it all the way to Buenos Aries. How was traveling before Google Maps and social media different than traveling today? I think the biggest difference from today was that my companion and I were much more isolated, which really meant we were more together. There were paid internet cafes you could stop in at to check in which we did maybe once a week, but back then it was normal not to be in contact with anyone. We didn’t have a cell phone, laptop, digital camera, or any means of sharing our journey with anyone, nor did it ever cross our minds to do so. We weren’t out there doing it for the “gram,” so there were no distractions apart from whatever was right in front of us. Taking a trip like that would be seen as an extreme, ascetic move these days, especially for a couple of twenty-one-year-olds. With a phone present, it’s too easy to just retreat into your own worlds as opposed to striking up awkward-silence-breaking conversations with strangers. On that trip, asking for directions was the perfect excuse to strike up a conversation. Some of the best adventures came from those unexpected moments when we were fully engaged in unfamiliar surroundings. What’s the most challenging thing you do? Juggling a completely unpredictable schedule. You never know where or when the next story will be. How do you beat exhaustion? I just go to sleep. Sometimes it’s just that simple. If that doesn’t work I generally call up an old friend to talk through whatever’s ailing me. What’s your secret productivity-enhancing weapon? Nicotinamide riboside. It’s supposed to increase your NAD+ levels, boost energy, and improve sleep, and have anti-aging benefits. I did it on a lark a few years ago and now that you mention it, that’s when waking up early in the morning became super easy. I never struggle with wanting to stay under the covers anymore. What was your ‘pinch-yourself’ moment? When I was filming a polar bear on an ice floe in the Arctic Ocean. I remember watching nature documentaries on TV as a kid back home in Springfield, Illinois. The lions bathing in the glow of dusk on the Serengeti, kangaroos hopping around the Outback, all of these beautiful scenes might as well have been out of a fairytale they felt so far away. On September 3, 2012, I got to film a single polar bear for about 40 minutes somewhere a few hundred miles from the North Pole. I don’t think I’ve ever been as excited to see anything in real life. 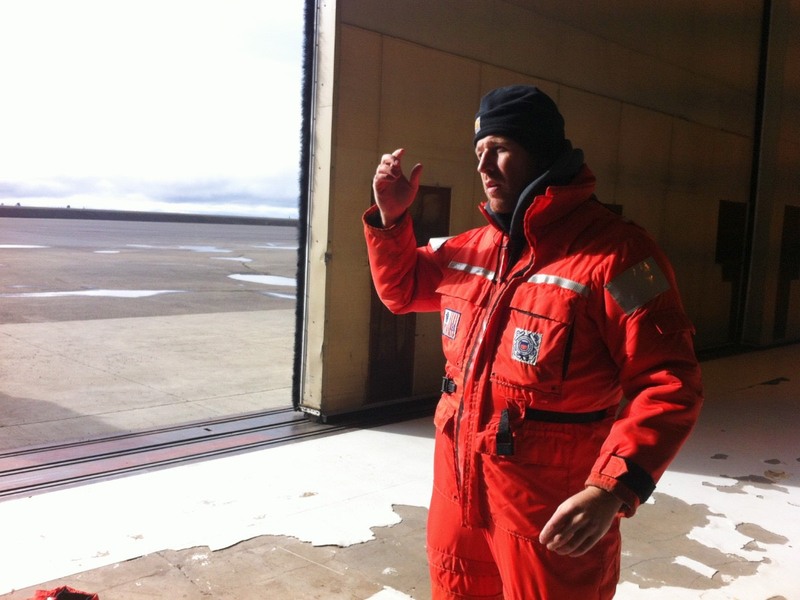 Ready for the cold – suited up to fly out on an Arctic adventure. Gear questions? Travel questions? Camera questions? Need to know how to replace the fan belt on a 1988 Reliant? Hit us up on social media with your burning questions for Dave we’ll update this post with a reply.